I'm perplexed why many in Republican circles are rationalizing and dismissing the gravity of the Democratic victory in the recent special election in Pennsylvania's 18th district. My sentiments are more with Newt Gingrich, who is cautioning Republicans to view this as a wake-up call to a possible disaster in the fall elections in which the Congress could flip to Democrat control. Pennsylvania's 18th congressional district is a poster child of Trump voters. As widely noted, Trump won this district by 20 points in 2016. The district's electorate is 94 percent white, compared with 70 percent nationwide. In 2016, Trump won the white vote 58 percent to 37 percent. These are white working-class voters, exactly the voters who played a central role in flipping a number of blue states into the red column in 2016 and delivering the White House to Donald Trump. So what happened in this election? Some have suggested that Conor Lamb, the Democrat victor, essentially ran as a conservative and a Republican, and this explains his success. If this is the case, then I've got some work to do to re-think my sense of what it means to be a conservative and a Republican. Lamb was out front criticizing the tax cut bill just passed in the Republican congress, without a single Democratic vote, and signed into law by Trump. According to Lamb, the tax bill was a "giveaway," most of which just went to and benefitted the "1 percent" — the wealthiest families in America. Perhaps our new young congressman missed the news in the Bureau of Labor Statistics February jobs report reporting the addition of 313,000 new jobs — far above the average monthly jobs gain during this recent economic recovery. And more than 800,000 Americans joined the work force, which, according to The Wall Street Journal, was "the largest one-month labor-pool increase since 1983." 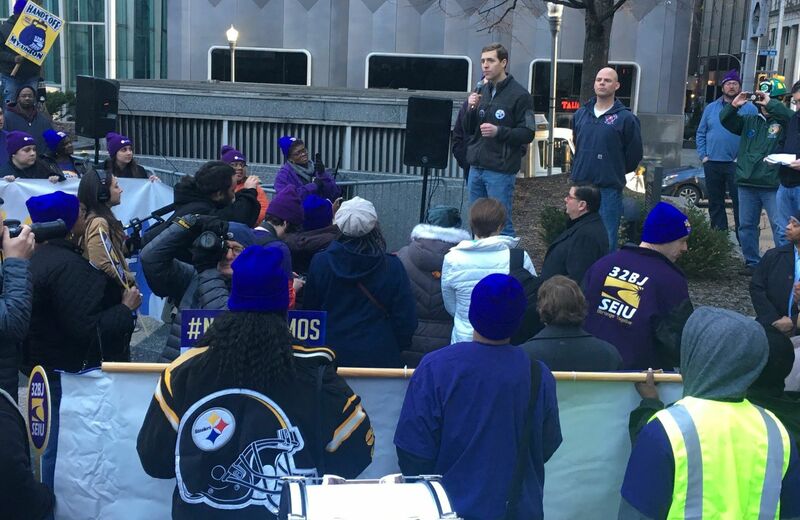 I can assure Conor Lamb that these hundreds of thousands going back to work as result of a freer economy and easing of a punishing tax code are not in the wealthiest 1 percent. Lamb devoted a full campaign ad to attacking Paul Ryan's work to generate ideas to reform Social Security and Medicare. Lamb said that working Americans "expect us to keep our promises to them." This is liberal boilerplate, not Republican talking points. We are already breaking our promises to working Americans. Social Security and Medicare Trustees report unfunded liabilities of Social Security and Medicare at more than $60 trillion, more than triple our GDP. These are benefits promised to Social Security and Medicare recipients for which there is no money. The system is broken and Paul Ryan is trying to find ways to fix it. It shows Lamb's political skills that somehow he managed to create the impression that he is pro-life. Saying you are personally opposed to abortion but stating zero intention to work to change the current abortion laws in American, which is Lamb's position, translates into being pro-abortion. Two of Newt's recommendations for addressing this looming electoral challenge facing Republicans are particularly worthy of attention. First, start an intense national awareness building campaign about Republican and conservative values, with clarity about how they will help every American. Everyone should understand the moral and fiscal bankruptcy to which the liberal secular state is taking us and how God-given truths and freedom, which defined our founding, made American great and are vital for keeping it great. Second, Republicans must expand the party base. Gingrich rightly points out the critical importance that Republicans build support among minorities. There is great potential here. In 2016, 1.3 million blacks, 8 percent, voted for President Trump. However, according to Pew Research, although 10 percent of black Christian Protestants self-identify as Republicans, 36 percent identify as politically conservative. This spells opportunity — if the work is done.